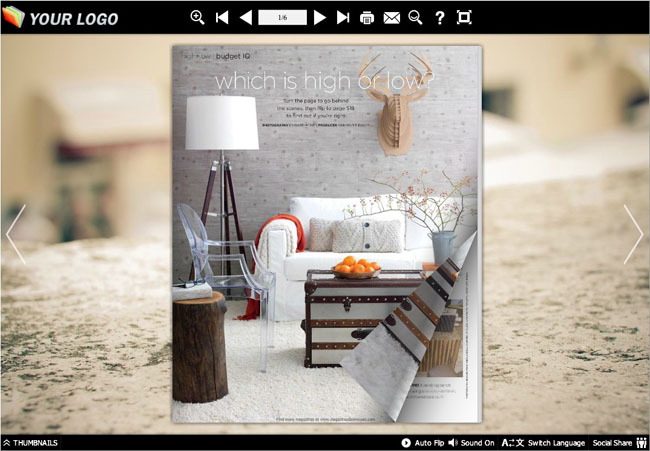 Here we recommend you the free online magazine software themes of white style. In the white style templates you can see the flipbook backgrounds are in a white atmosphere. The color white means simple. It stands for a kind of contracted thinking and minimalism. If your flipbook convertor needs this style, then don't be hesitating. Download the theme pack for free and try if it fits your books. We're sure you can make a nice work with our help. And don't forget to check our free templates section.